eLearn is a multi-purpose HTML5 template for a modern learning page. The concept is based on an online learning platform. You might upload videos for "dummies" or watch tutorials by your own. There are 3 different landing pages included, to guide the visitors through the several options of the page. 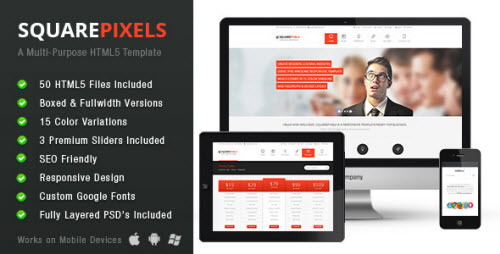 You also might use this multi-purpose HTML5 / CSS3 template as your own portfolio template or for your business, as there are a lot of different options to customize this site template. why did you take out the PSD files?